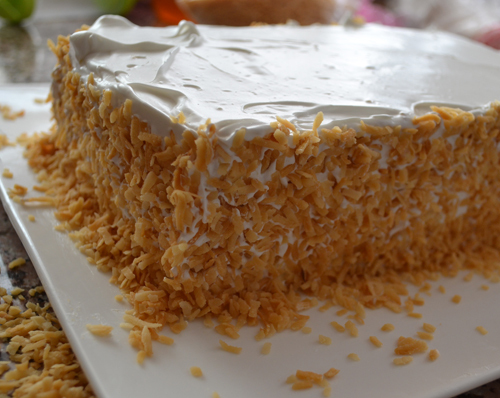 A tres leches cake, or torta de tres leches (from Spanish, “three milks cake”), is basically a sponge cake soaked in three kinds of milk: evaporated milk, condensed milk, and heavy cream.The tres leches cake is very popular in many parts of Central and South America.It is sometimes featured in cinco de Mayo celebrations. 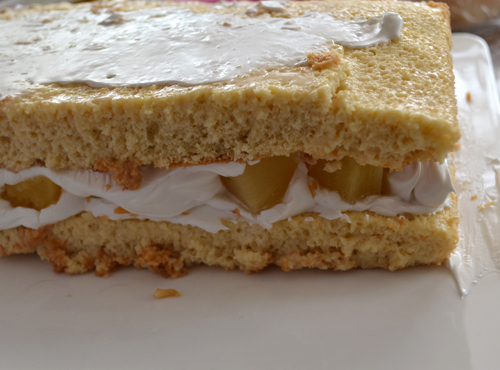 For this month it was our daring bakers challenge to make one. Blog checking lines :Inma of la Galletika was our Sept. 2013 Daring Bakers’ hostess and WOW did she bring us something decadent and delicious! 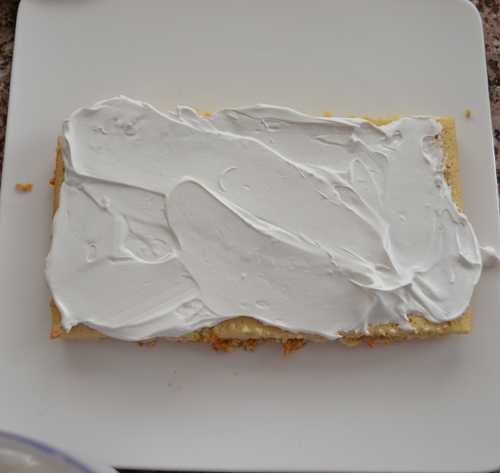 Pastel de Tres Leches or Three Milk Cake, creamy yet airy, super moist but not soggy.. just plain delish! 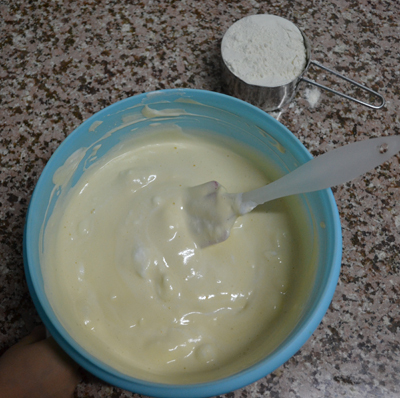 I made the cake following Inma’s directions except for two little changes. 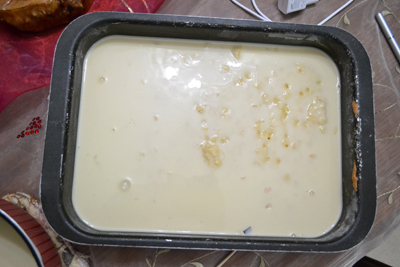 My other variation was that I did not use all of the milk syrup because my cake was thin, I set aside one cup of the mix . 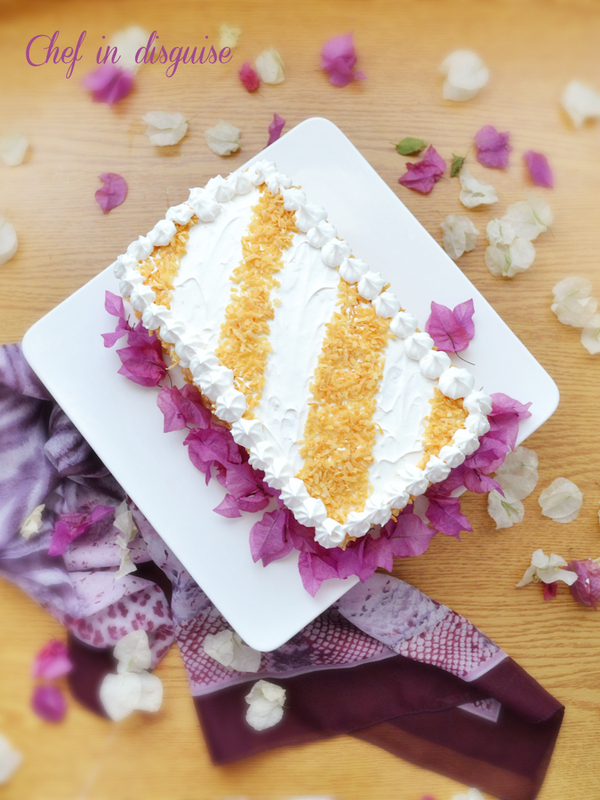 I chose to fill my cake with pineapples and toasted sweetened coconut. 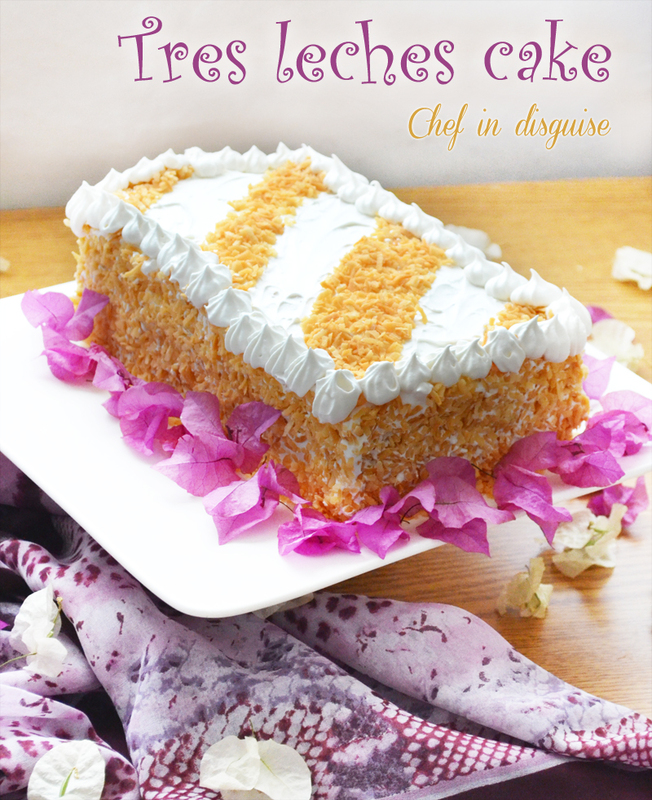 The pairing of the moist and decadent cake with the freshness of the pineapples, the nutty sweetness of the sweetened coconuts, the richness of the cream was irresistible. Preheat oven to moderate 180°C/350°F/gas mark 4. Beat the egg whites on medium speed, 3 – 5 minutes. In a medium bowl beat egg yolks at medium-high speed for about 5 to 6 minutes, or until the egg yolks become pale colored, creamy and puffy. Pour the egg yolks over the egg whites, gently fold until just combined trying not to lose any volume from the mixture. Fold in the flour little by little in the form of rain. 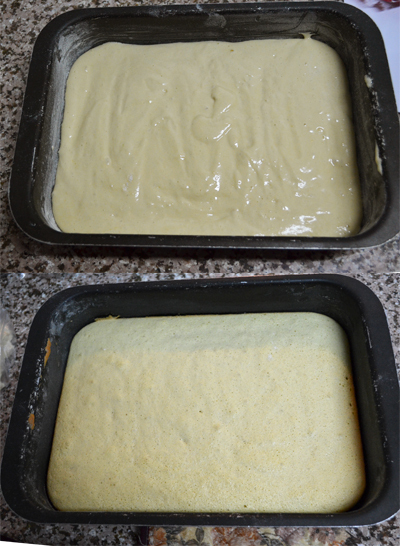 Mix until just combined (over-beating will result in a denser, flatter cake). Once cool, poke all over the cake using a fork or a skewer (that was a great way to release stress at the end of the day :)) This helps the cake absorb the three milk soaking liquid. In a saucepan add the sweetened condensed milk, evaporated milk, heavy cream and cinnamon stick. Bring to a boil, reduce the heat and continue boiling for 5 minutes. 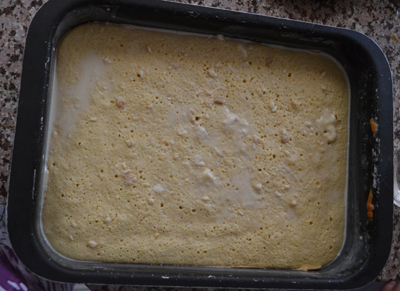 It would be best if you would allow the cake to rest in the fridge overnight to complete the soaking process. 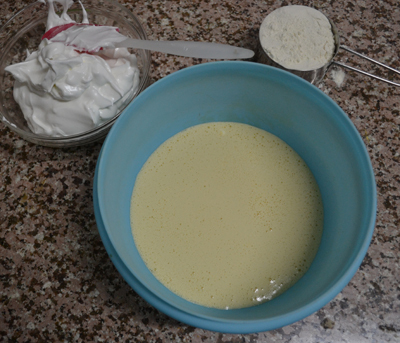 Whip the cream, when soft peaks form add the sugar little by little, continue whipping until stiff peaks form about 2 mins. 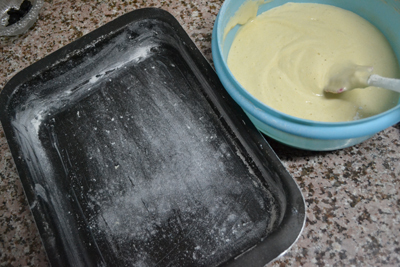 I have received a few questions about cutting and layering the cake.What I did is cut a little segment from the edge of the pan(2 cm rectangular wedge ) to give me a little space, then I ran a spatula under the cake to make sure it is separate from the pan and then carefully removed it from the pan. Posted in Cake, Cake decoration, Daring bakers, Dessert and tagged cinco de mayo celebrations, Cinco de mayo dessert, dessert, mexican desserts, milk mixture, moist cake, pastel de tres leches, sponge cake, sponge cakes, three milk cake, tres leches cake. Bookmark the permalink. Sawsan you did an amazing job, your cake is a true beauty! I like the shape. It is really cute! You did such a fabulous job Sawsan! I’m late to this challenge because I’m planning on making it for a group of people next week. Did you also try the chocolate and coconut version? This is my favorite cake. I love this I can eat anytime. Yours look beautiful. 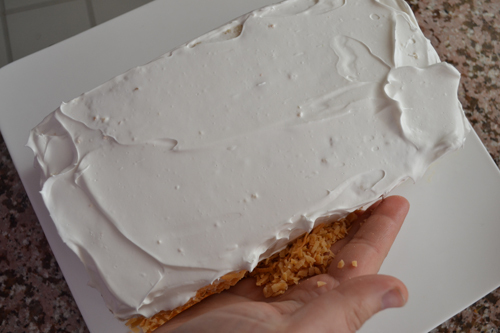 Oh my gosh, your tres leches cake looks stunning and delicious at the same time – I don’t know how you do it! 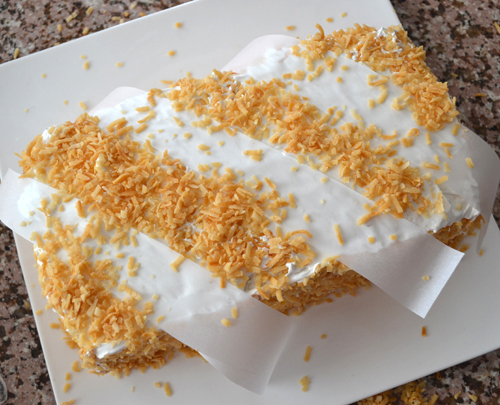 And your flavors – pineapple and coconut – it’s a tropical party for your taste buds!! I wish I could have a nice, big piece right about now!! wooooow… it looks beautiful and delicious!! Your cake is lovelier than many I’ve seen on offer at gourmet bakeries. 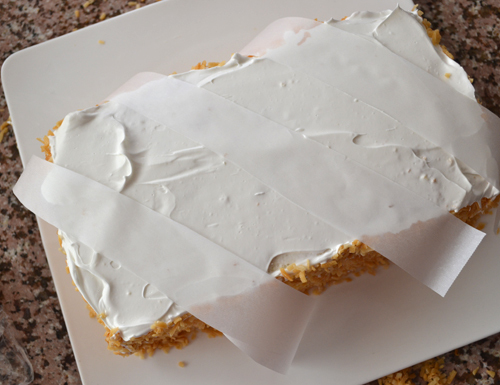 I AM curious if you cut the cake in half horizontally or vertically as I’ve seen other recipes where the soaked cake is SO moist that it would break apart if you attempted to cut it horizontally. It looks so yummy. I have a sweet tooth and I sooo want this. This looks delicious! And what a great trick to get the stripes on the top! I’m so glad to see that your blog is doing so well, I admire your hard work and dedication and I’m thrilled that you’re such a success! Cheers to you, my friend! This looks gorgeous, I will be trying this very soon! I’ve had a version if this cake and although I don’t have a sweet tooth, I would gladly dig in with a fork! The three milks are incredibly moreish and decadent. 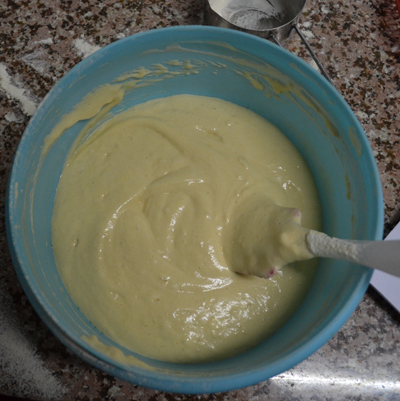 You have made a beautiful cake again. G’day and GORGEOUS Sawsan, true! Congrats on more than accomplishing this months Baker’s Challenge too! Beautiful as always Sawsan! I love the tropical flavours you used, and that coconut decoration is lovely. 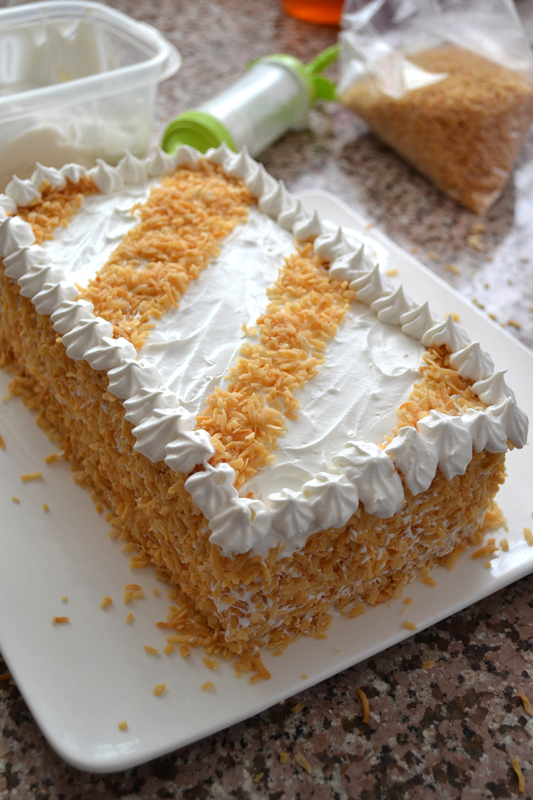 I bet the texture of the toasted coconut against the milky cake was fantastic. Your tre leches looks pretty and I am sure it was yummy too 🙂 great job!! you always done fabulous job … your cake looks delicious…..stress is common now days with all humans around the world and this recipe is good choice to relief and chill out from after work..
Hi Sawsan! I’m not a fan of milk so I know I won’t try it at home, but your cake looks very beautiful and professionally done! Beautiful decoration of your cake! Nice job on the challenge. Your recipes always fall into one or more of these categories: inspiring, stunning, decadent, tempting. This post is no exception. 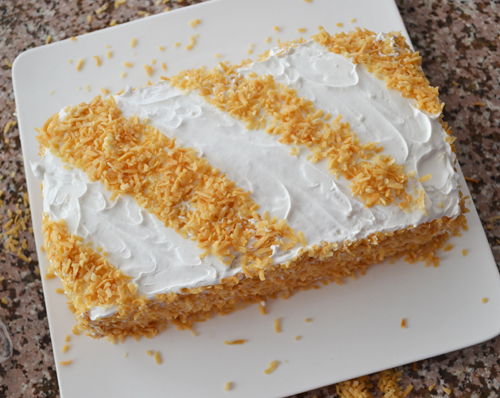 Wow, that’s a fantastic job Sawsan – I always wondered how neat stripes like that were formed on cakes… now you’ve shown me it seems so easy! Isn’t it funny how things like this might seem so confusing until you see it done? The cake looks so good – I bet it tastes incredible. I don’t think I ever saw evaporated milk here… I’m sure one can buy it somewhere but it’s not common – I’ll keep my eyes open for it because I’d love to give this a try! How lovely. We used to live in Miami with many Spanish and Cuban restaurants where this dessert was always on the menu. Not one of them served one as pretty as yours. Oh, Sawsan! This is not only beautiful, it is killing me not to have some NOW! 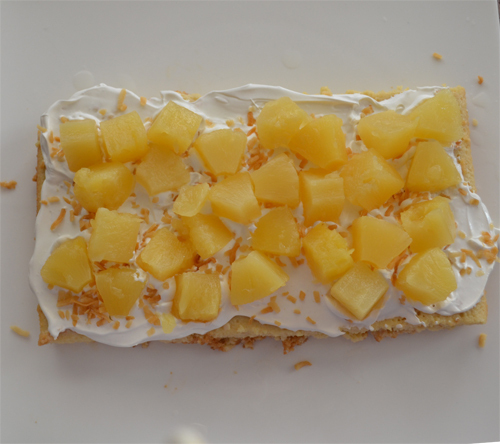 i love the addition of the coconut and pineapple…that about has me over-the-edge! 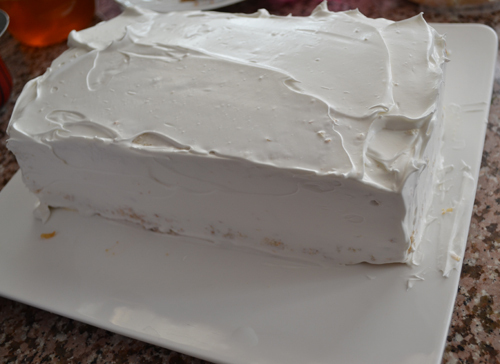 btw: I have a cake divider,(I believe from Wilton), that straddles the cake and has a wire in between.It can be adjusted to however high you wish the cake to be split, but your way probably holds the filling better anyway! This is so beautiful. What a great job you have done! This cake is really special to me because it was my sister’s wedding cake. I’ve heard of this cake, but never had the pleasure of tasting one. A delight I’m sure. And as ever your photography lights up the recipe! hello mam i want to make this cake but confused is there no need to add baking powder in the sponge? please reply asap as i want to make this for my father – in -law on his birthday. This cake is the best ! I made it for my husband this weekend and he LOVED it. This recipe is a keeper, very easy to follow, of course thanks to your clear step by step directions. I had some strawberries at home so I used them to decorate the cake and it turned out great. Thank you for posting this awesome cake.